My local chapter of RWA had its first ever Afternoon Tea in August. It was a potluck so people brought tea sandwiches, tarts, cakes, scones, anything and everything associated with afternoon tea. I picked up a great little cookbook in Caithness, Scotland called “Maw Broon’s Afternoon Tea Book.” It contains recipes and tea time traditions with humorous Scots comments and asides. 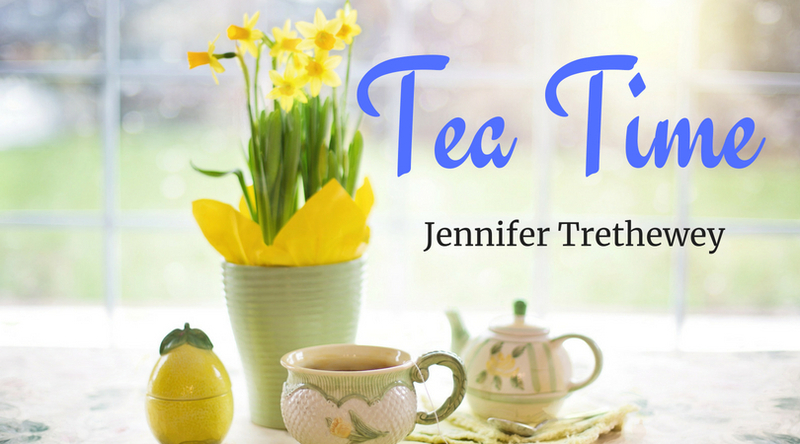 Here’s another simple recipe I chose to use for the Wisconsin Romance Writers of America Tea Party. I’m making this a triple decker by using the thick slices of Pepperidge Farm white and a thin slice of Pepperidge Farm wheat bread. I start in the garden. 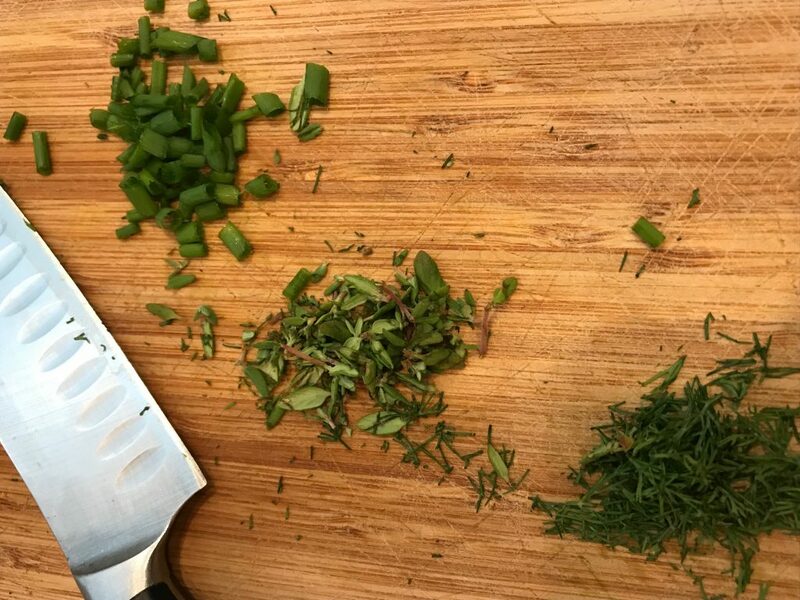 Mince a teaspoon each of dill, thyme, and chives. Mix them with 4 oz. 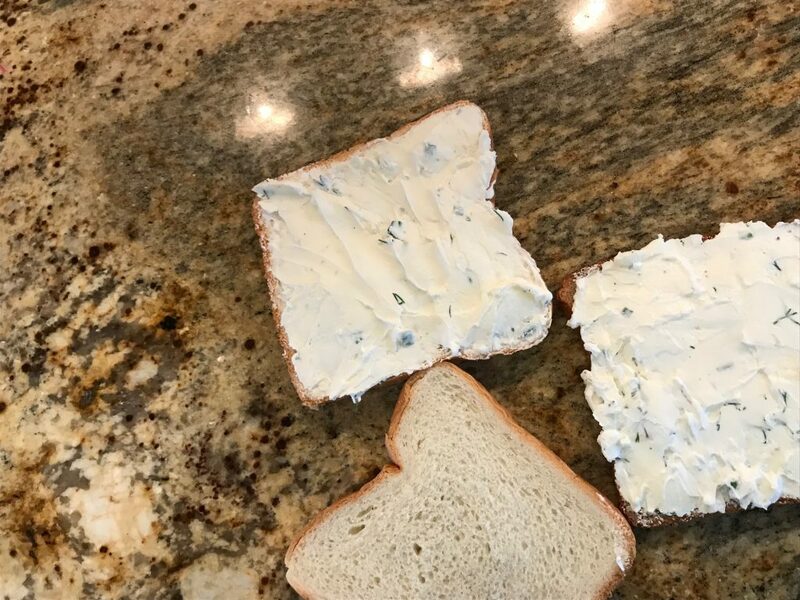 of Philly Cream Cheese (1/2 a brick) along with a heaping tablespoon of sour cream. Add salt and pepper to taste. Spread a layer on the bottom slice and the middle slice. About a ¼ inch thick. Assemble and cut away the crusts. Then cut the square into triangles. Here comes the fussy part. You can skip this if you want. 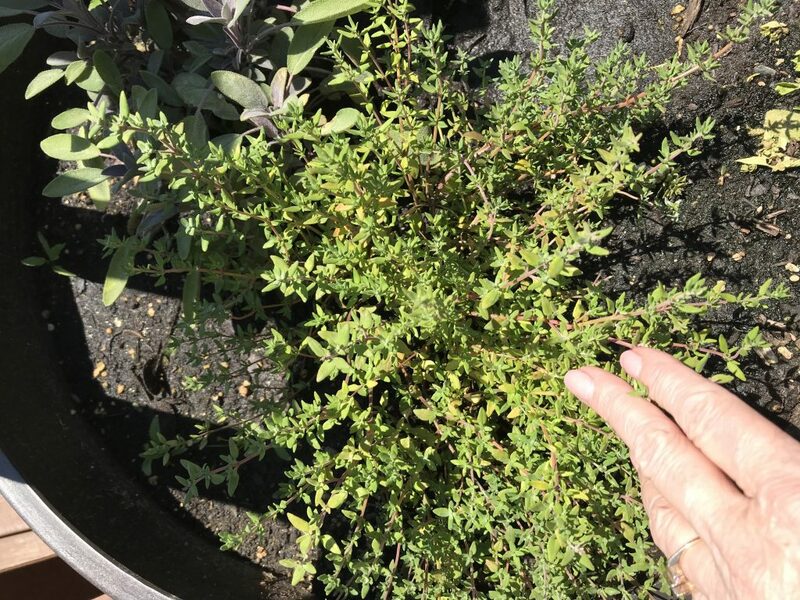 Get some micro greens, pinch off the green tops until you’ve got about two tablespoons. 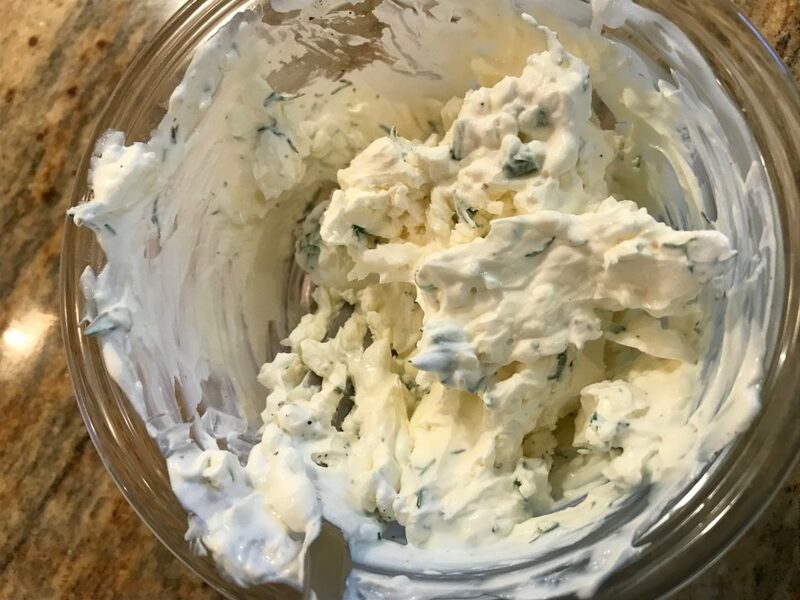 Coat one side of each triangle with cream cheese mixture and dip it in the micro greens. Pretty! 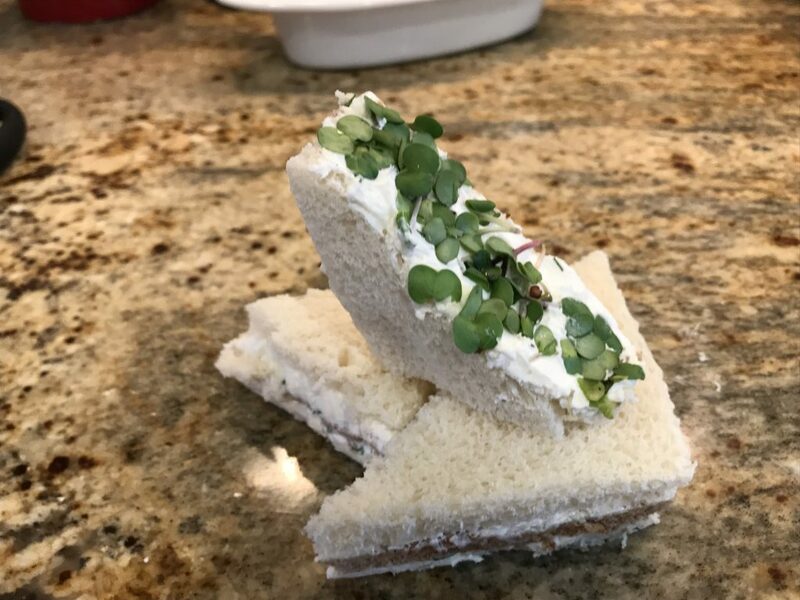 You can make the cream cheese mixture ahead of time and fuss with the micro greens, but I would wait until the day of the party to assemble.